The right safety eyewear and a 100 percent mandatory eye protection program can keep your employees from joining the more than 700,000 Americans that Prevent Blindness America says suffer work-related eye injuries each year. The right safety eyewear complies with Occupational Safety and Health Administration guidelines, which include ANSI Z87.1-2010, approved and issued in April, 2010 by the American National Standards Institute. ANSI monitors procedures to develop safety glass standards. It also decides when revisions are necessary, but doesn’t actually create and write the standards. 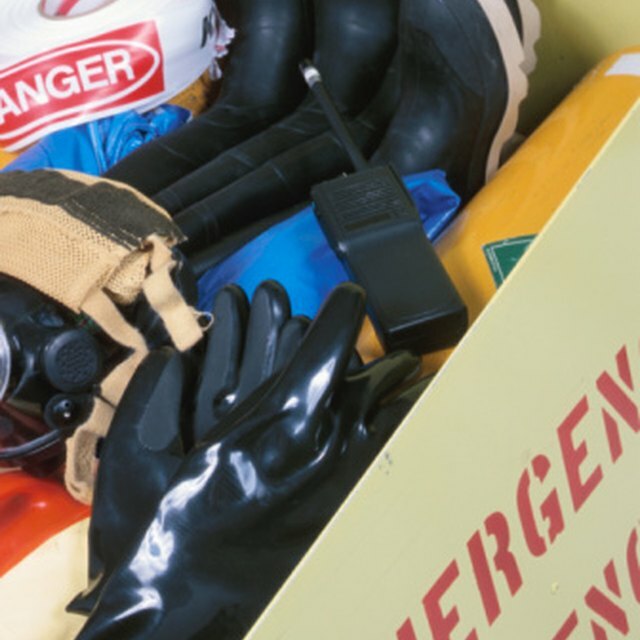 That's up to organizations such as the International Safety and Equipment Association. Contrary to what many believe, there is no such thing as ANSI approved or certified safety protection. Testing results in a pass or a fail, which is how manufacturers show their safety glasses meet ANSI standards. Anything more than this is a false advertising claim. The ANSI Z87 standard applies to lenses and frames in eyeglasses and safety goggles. The standard also applies to face shields, welding helmets and full-face respirators. Impact resistance falls under non-impact or impact classifications. Non-impact glasses protect against hazards such as dust and chemical splashes, while impact protection guards against flying objects, blunt impact and radiation. Carpenters, plumbers, pipe-fitters and machinists typically wear impact guards. Safety glasses go through a number of mandatory, hazard-specific tests before leaving the manufacturer. These include, but aren’t limited to, six different impact tests, haze, optical quality, transmittance and cleanability tests. Plastic lenses must also pass a penetration test. There’s also a number of optional tests that apply to specific types of eyewear, such as welding lenses and safety goggles. ANSI marking requirements help you identify and choose safety protection that best represents the hazards found in your workplace. For example, non-prescription, impact-rated eyewear, goggles and face shields display the manufacturer’s logo and an impact -- a plus sign -- mark. For impact-rated prescription eyewear, a “Z87-2+” mark on the temple and bridge of the frame means the frame meets ANSI lens retention requirements. Welding lenses include a “W” shade number. UV filtering lenses have a “U” scale number, and visible light filtering lenses have an “L” number. SafetyGlassesUSA.com: What Does ANSI Z87.1-2010 Certified Safety Glasses Mean?